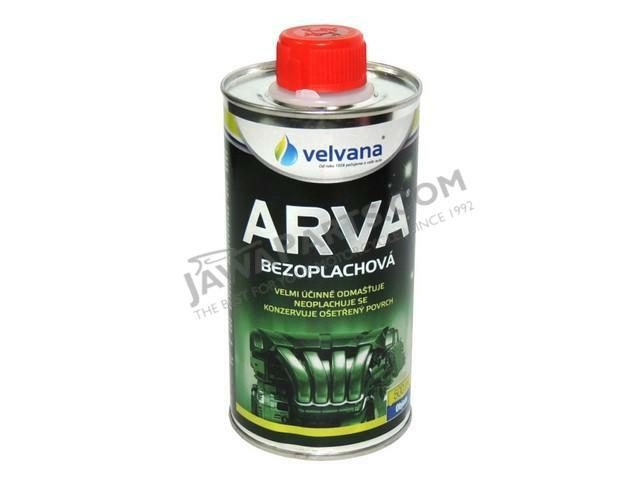 ARVA® No-Rinse is a very effective product for cold, rinseless degreasing and for cleaning metal and painted surfaces in car repair shops, service stations, fleet maintenance facilities and in the metal and engineering industries. ARVA® No-Rinse removes contamination and protects treated surfaces against corrosion. It does not contain chlorinated hydrocarbons or aromatics. ARVA® No-Rinse is a colourless to yellowish liquid, a mixture of hydrocarbon solvents with various additives such as antioxidants and corrosion inhibitors. The cleaner has good vapourability - it dries very quickly. Cleaning work with ARVA® No-Rinse is carried out by dipping or coating the treated item. The length of time for the activity of degreasing depends on the degree and the type of contamination. After degreasing, the surface treated should be wiped with a clean cloth. No-Rinse is used in its original condition, undiluted. It is suitable for use on cleaning tables and in washers for repeated washing. It does not need to be rinsed off. It contains corrosion inhibitors and antioxidants.